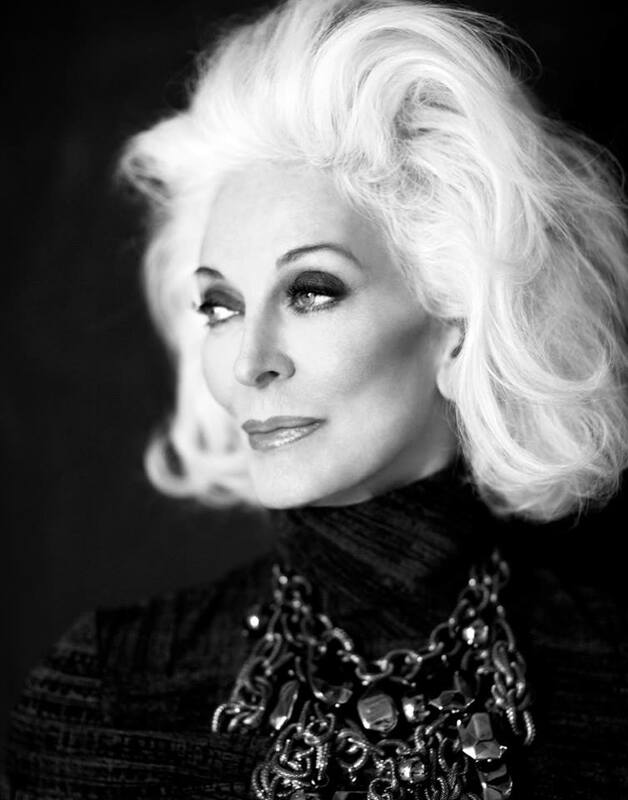 American model, fashion icon, and legend, Carmen Dell’Orefice, is known within the fashion industry as the world’s oldest working model. She was born in 1931 to an Italian immigrant father who was a musician, and a Hungarian ballerina mother – so if you do the math, she is now, astonishingly, 85-years-old. 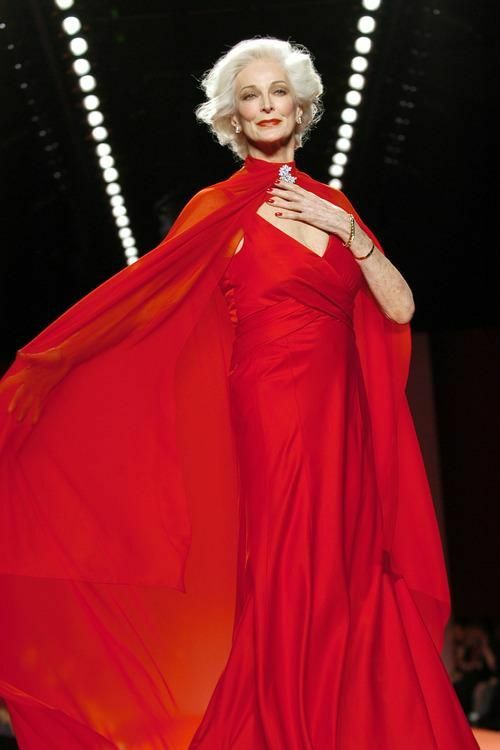 However she is busier, and more beautiful, than many models a fraction of her age. 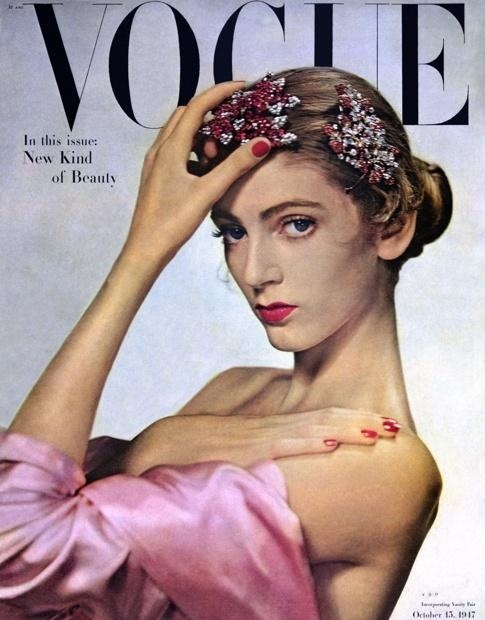 The 5’9″ New York-born beauty was spotted by a photographer’s wife getting off a bus in her native city when she was 13; posed for Salvador Dali at 14; began her modelling career at 15, and the following year, 1947, she was on the cover of Vogue at age 16. 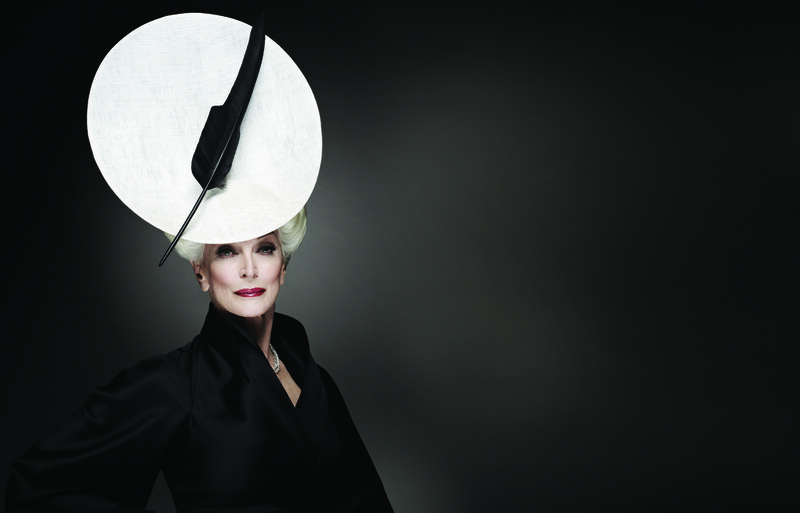 Almost seven decades later, Carmen is still entrancing us with her beauty, poise, and elegance. Despite trying to retire three times in the intervening years, Carmen just doesn’t quit. 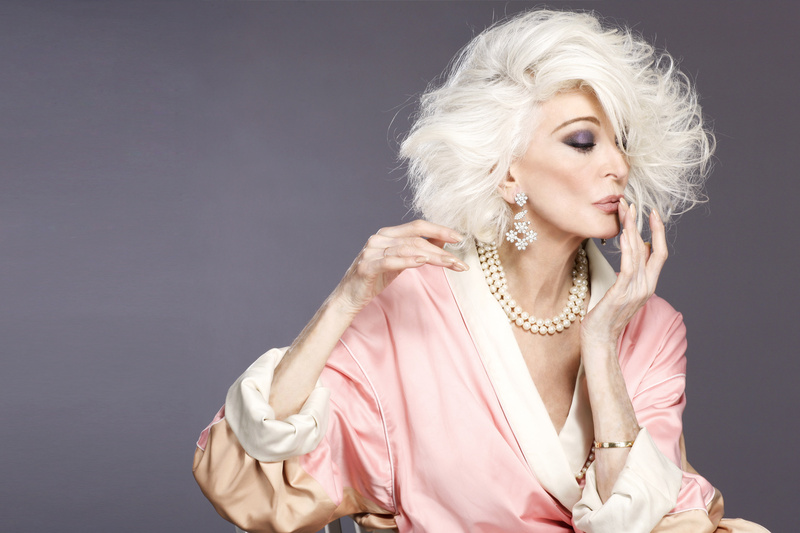 In addition to posing for magazine covers – I have had more magazine covers in the last 25 years than I have had in my whole elongated career – Carmen is also still strutting down the runways. She has also been the face for Rolex, Ray Ban, Hermes, Delveaux, among many others. When asked why she keeps working, she answers matter-of-factly, They keep asking me to do it. Period. 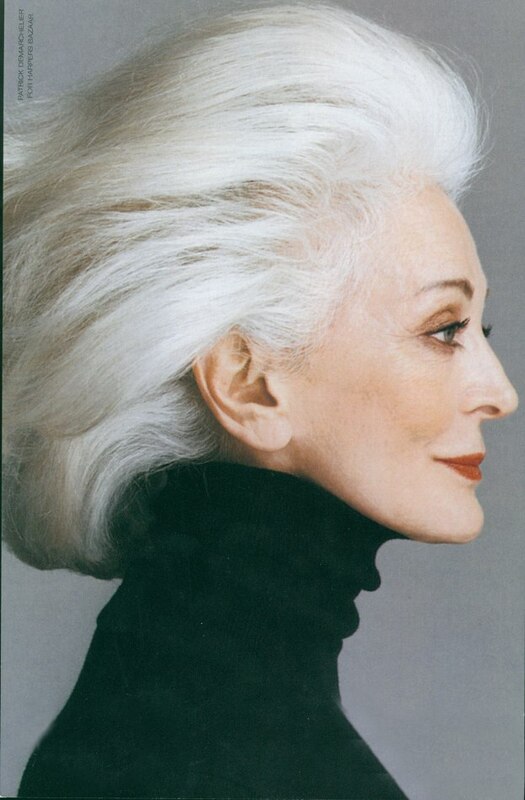 Today I am in a territory that business considers unmarketable: age and white hair. Slowly, however, I started to own that territory little by little because I stood up for age. Here, at 85 (!) she is as stunning as ever. My mother taught me how to sew, how to upholster, how to cook, how to wallpaper, how to count the pennies. Our rent was $30 a month, and we’d often be a few dollars short, so at the end of the month, we would sometimes have to pawn the sewing machine, which was a tragedy. 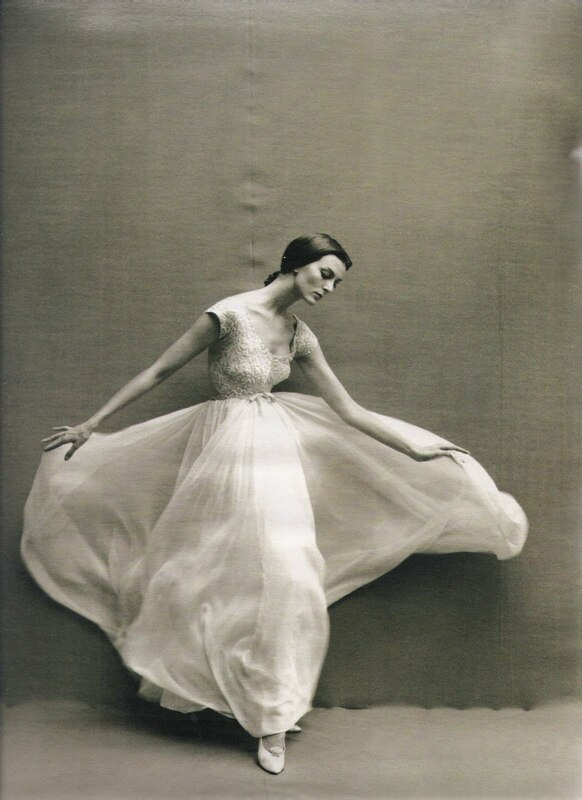 Carmen worked with some of the most renowned photographers of the 20th century including Cecil Beaton, Norman Parkinson, and Richard Avedon. And although for the camera she projects a haughty imperiousness worthy of an aristocrat, in real life she is said to be warm, charming, thoughtful, graceful, and more interested in talking about politics and economics than fashion. 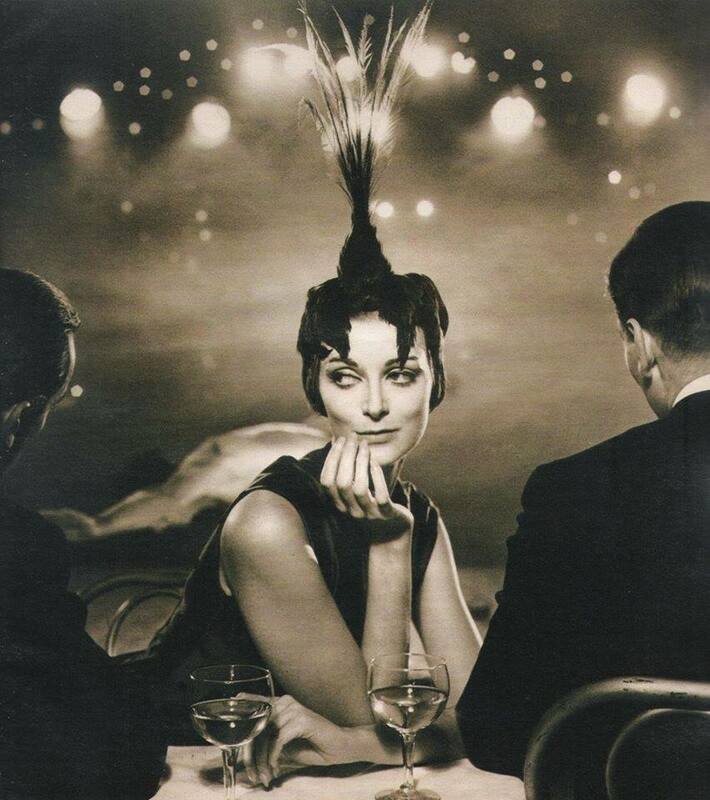 As a model, I didn’t have an identity; I was a chameleon, a silent actress. I was an amorphous thing. I wasn’t full of personality, I was full of solitude and solemnity. I wasn’t a cover-girl type. 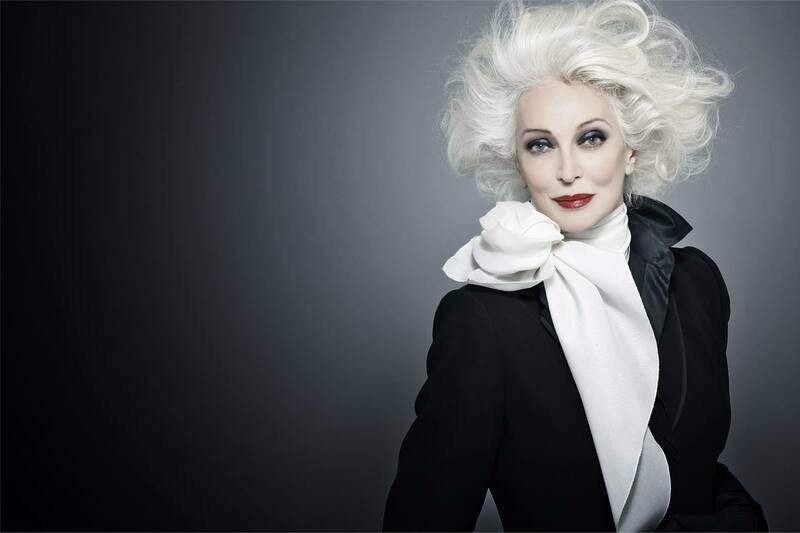 With her sky-high cheekbones, commanding presence, and her signature snow-white mane, Carmen is a woman of a certain age who has given the world a new definition of beauty and ageing gracefully. It took me half my life to understand who I was. How could I be true to anything when I didn’t know myself? I am able to be truer and truer with myself the older I get, but I am still a work in progress. You don’t have to like me, but I’m not going to please someone for the sake of their approval. Most people don’t know how to live their life so they don’t know how to die. They are startled or confused by it but it is part of living. 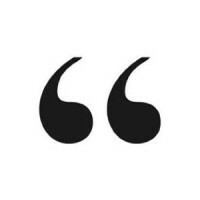 That’s why I always say, when I die it’s going to be my way. This post was updated from January, 2016. Carmen! She’s my star!!! Been following her for 60 years. She’s my darling, my mentor! !